Ever wanted to be apart of the Bear Grylls Adventure? Well now you can! 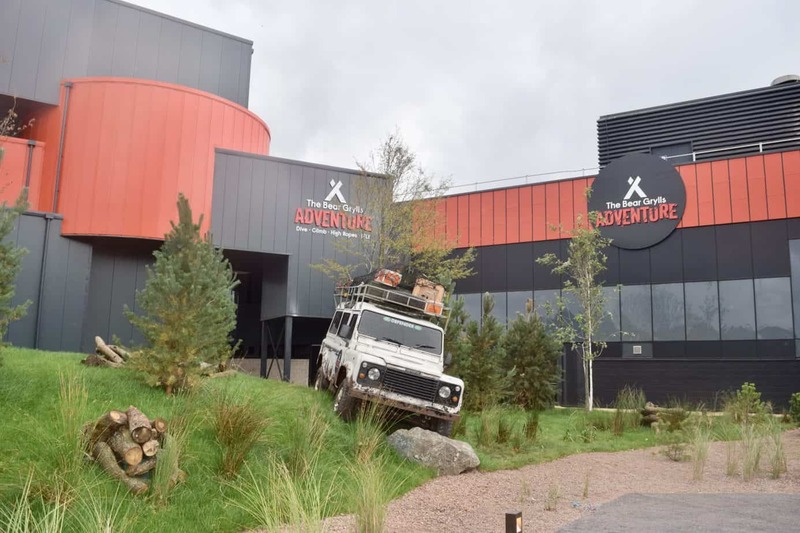 On September 12th 2018, Birmingham welcomed the latest addition to be built by Merlin near the NEC and is a place to unleash your inner Bear! Now, I am no Bear Grylls – trust me! But, when I got invited to give some of the activities on offer here a go, I was excited but apprehensive of the unknown. What will I encounter? How far will I be pushed? Will I survive?! (insert monkey covering eyes emoji!) Read on to find out! Bear Grylls Adventure – what’s it all about? You’ll find this new attraction within the NEC and pretty much opposite Resort’s World complex. Bear Grylls Adventure is inspired by Bear’s high adrenalin experiences and past expeditions, from his time training with 21 SAS, to scaling Everest and exploring some of the most remote deserts and jungles through his adventure TV programming. High ropes – this is allegedly the toughest high rope’s course in Europe! This is a multi-levelled course which Bear compares to the Commando Tarzan course at the Royal Marines Centre – you’re in for a challenge! Skydive – this IFLY attraction features a hair raising indoor skydiving activity where guests will experience a freefall that is almost three times longer than an average skydive. 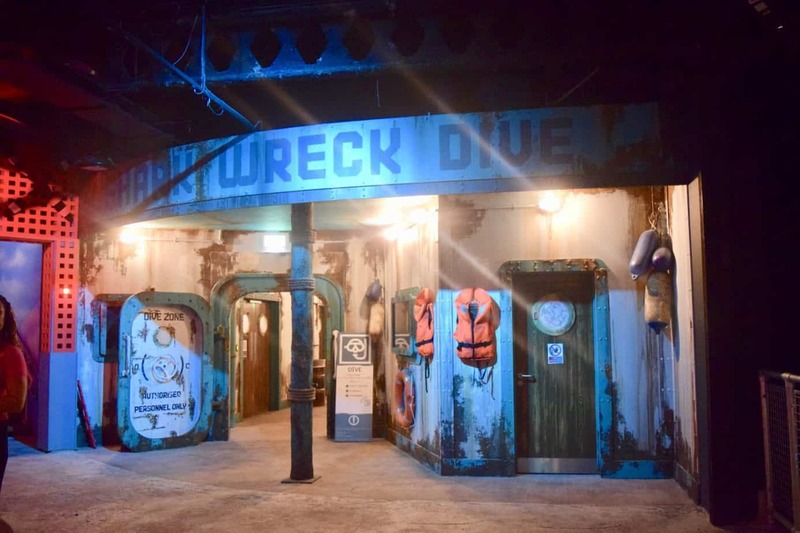 Dive – This is where adventurers can visit a different world. Accompanied by a pro-diving team, you’ll be able to explore a 886m3 tank with either a full snorkel or scuba kit provided. 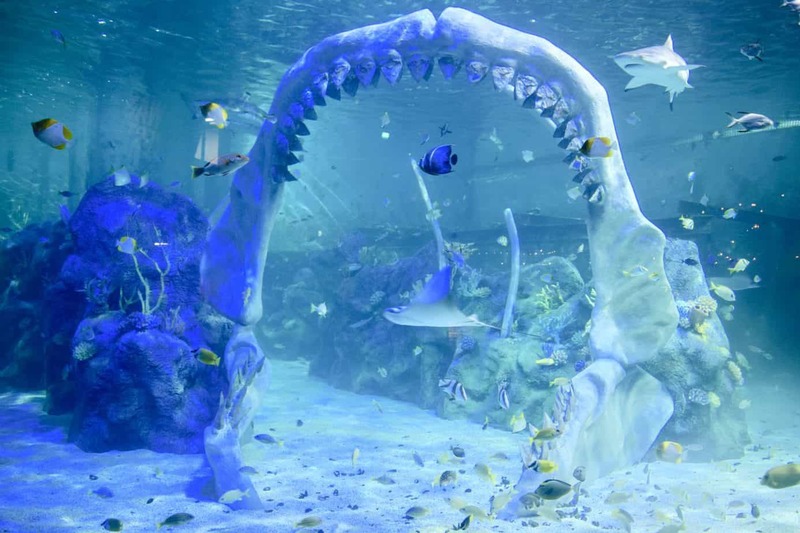 Swim with sharks, sting rays and an array of beautiful species of fish! Upon entering the building for our 4pm booking, I was taken back by the theming of this building. We were greeted with a huge tree and an abandoned explorer plane, along with a huge truck which actually housed part of the seating area for the restaurant. It was impressive to look at and I immediately felt like I way miles away from home. Staff greeted us with a warm smile and full of information – they seemed just as excited as us! We were each given an ‘adventures band’ which not only opened our lockers, but where all our photos taken by staff were stored – pretty much like a magic band at Disney! Once all our items were in our lockers, we were then met by our wonderful adventure leader, Ellie (who was just amazing). She told us we were going to complete Basecamp first which would last 90 minutes in total. I was excited but also a little wary! 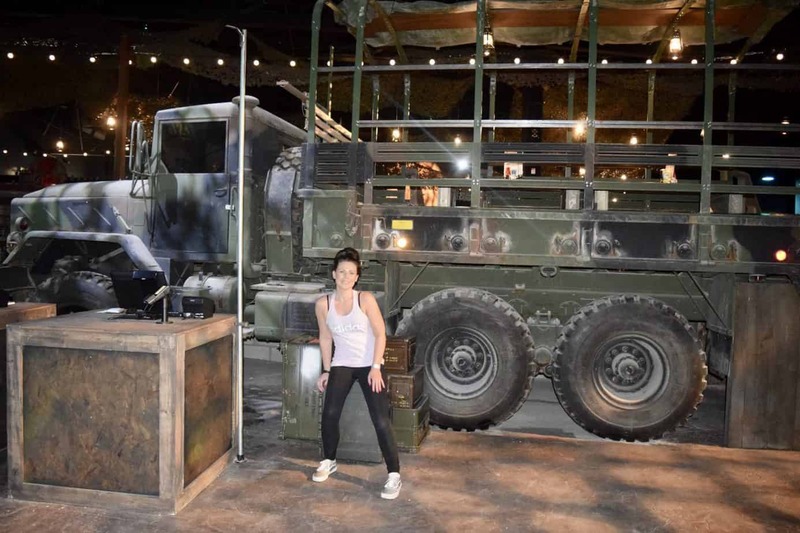 Basecamp at Bear Grylls Adventure is designed to test guest’s personal, physical and mental limits – I was in for a challenge! We began with SURVIVAL MAZE. Now, I would ruin any readers visit if I was to tell you what the Maze consisted off…and what we encountered. However, what I can tell you is that I sure did test my capability. Survival maze is all bout navigating tricky quests under pressure. And when tested to your limits, you’ll be able to really find out what your made of! And I am so proud of myself for completing it as at several stages I nearly chickened out! We then followed with BREAK OUT – ESCAPE ROOMS. After a video brief from Bear, we then began our challenge of breaking out of two escape rooms. 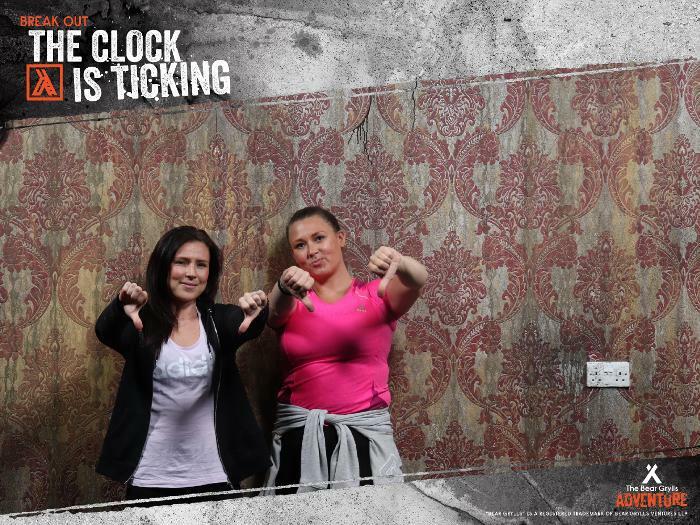 With minimal guide, lack of information and with the clock ticking, we were really set a challenge. Did we succeed? After our disastrous (but super fun!) attempt of breaking out, we were then taken over to our ASSAULT COURSE challenge. With a short warm up conducted by Ellie, we were then off! 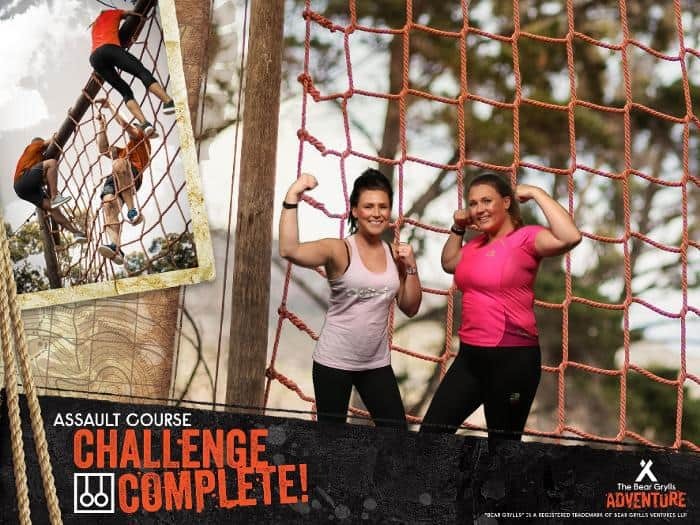 This was an awesome assault course that got more challenging as we neared the finish line. I actually didn’t know I was quite capable of such strength! We took on balancing, jumping, climbing and much scrambling to complete the course. When I found out it was inspired by the famous Royal Marines course in Lympstone, I was pretty proud of myself and my sister! 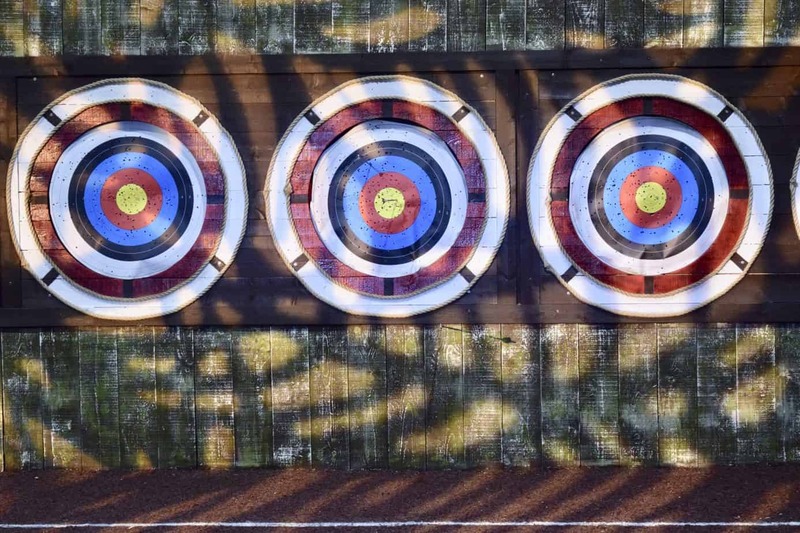 Finally, we finished our basecamp with TARGET ARCHERY. 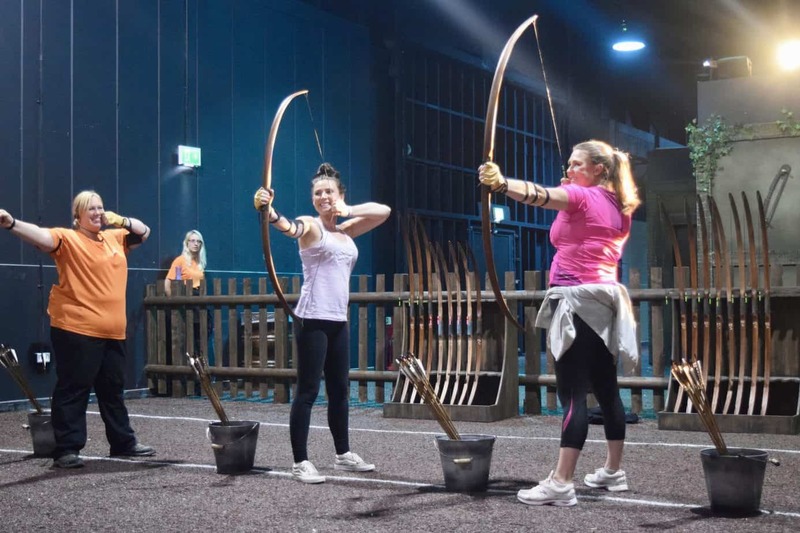 We had a lovely trained guide who showed us the ropes of how to use a bow and arrow (they are huge!) and then put our skills to practice. 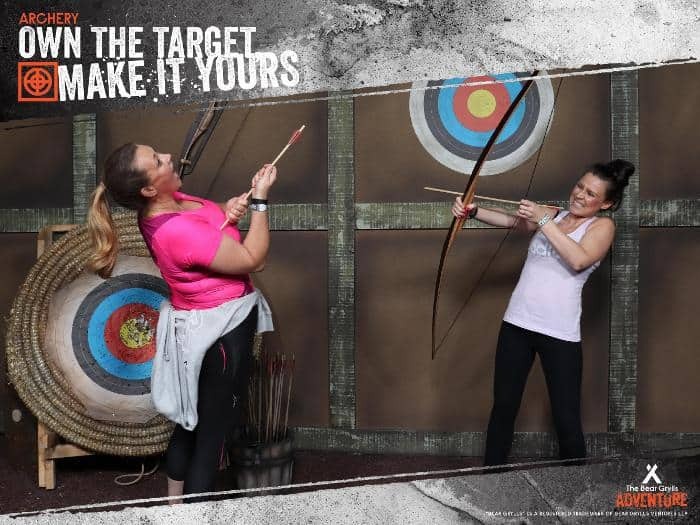 Both my sister and I got two bulls eyes – pretty impressive huh!? After a short break in the restaurant to grab a coffee and try a sriracha shot with grasshoppers (ewwww!) we then headed off to our next adventure. My sister and I were literally ecstatic we were about to get in and swim near these beautiful creatures. Having never done anything like this before, I was excited to discover Bear’s tropical tank that was full of over 1,000 creatures! We were greeted with a new PADI trained instructor who gave us a detailed brief and talked to us about the conservation of the sharks and sea life at Bear Grylls Adventure. Then, we got kitted out in our wetsuit and given our snorkel. 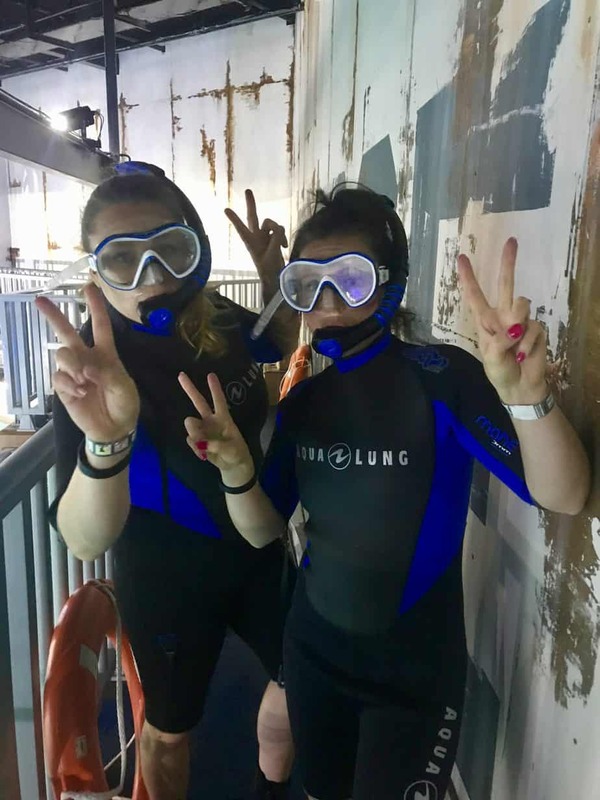 Once done, we arrived at the tank, where we would be snorkelling in a see through cage. The reason for this is that we would not be disturbing the sharks as they tend to swim at the surface. That way, we still can get up close and personal but we wouldn’t be in any danger or be invading their territory. WOW! What an experience! I was literally blown away by being so close to such fascinating sea life. I couldn’t believe I was literally metres away from sharks and the most beautiful rays. Whilst underwater, I had a sense of calm overtake me. It really was an exhilarating and humbling experience. 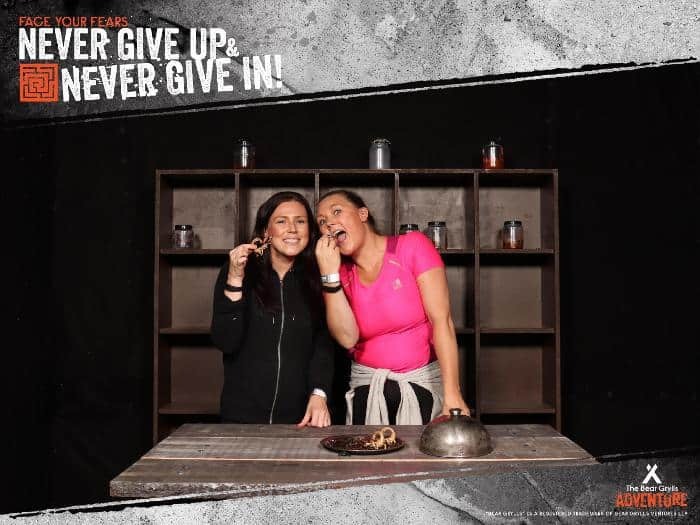 Both myself and my sister had an incredible experience at Bear Grylls Adventure. From the moment we arrived, we were cared for by such informative and caring staff. 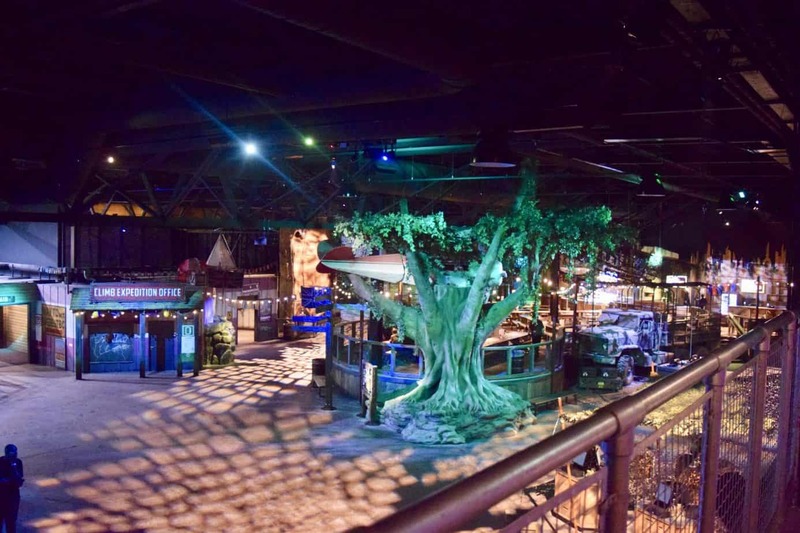 We were surrounded by amazing theming and literally got taken on an adventure as close to the real thing as physical possible! I really challenged myself! Not only was it a fun and enjoyable experience, but also gave me self-confidence and self belief in that I can do anything I set my mind to! I also loved the fact that included in your package, you got to take home several digital photos from Basecamp. Please visit here to find out more about what adventure is for you! Are you going to visit soon? Have you visited already? I’d love to hear all about your experience! "Top Tips on how to survive a road trip with kids"
Oh my goodness, this looks amazing!!! Ah it was a truly amazing experience so close to home too! Oh wow!! Hubby’s Christmas present is sorted!! This looks awesome. Ah I am sure he would love it! Looks like great fun this! So much fun and an exciting experience! Oh wow this looks awesome! I wish we lived closer to try it out! Ah fab – defo check it out! Wow it sounds amazing! Can’t wait to try it out! Ah you must! It’s not one to be missed! I believe the kids have to be 15/16 or over! I now know it is 11! Ooh the Snorkel sounds amazing, we did the Dive which was incredible. I’m glad it wasn’t just us that didn’t escape then – it was quite tough . I can’t wait til my kids are older so I can take them and do it all over again. 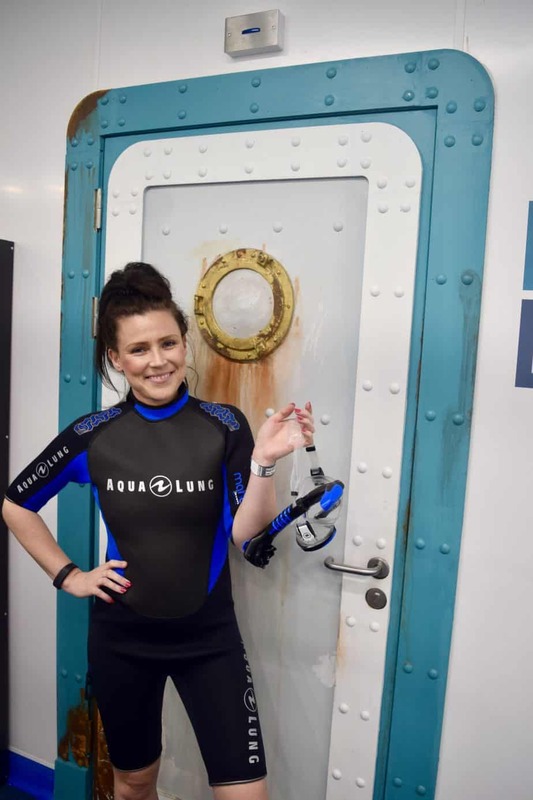 Oh wow the Dive did look amazing – I was too nervous but felt like I faced many fears during this trip! Glad you had such a fab time!